The main function of the Governing Body is to ensure that the CCG has arrangements in place to exercise its functions effectively, efficiently and economically and in accordance with any generally accepted principles of good governance that are relevant. Duties and decisions are also delegated to a number of sub-committees. The Governing Body will meet monthly at least four times a year and these meetings will be in public. Dr Bajwa is the Clinical GP Chair for NHS Buckinghamshire CCG, re-elected in November 2018. He was previously Clinical GP Chair for NHS Chiltern CCG from July 2016, and prior to that the Clinical Commissioning Director responsible for Long Term Conditions, Medicines Management and End of Life Care. He is senior partner and trainer at Little Chalfont Surgery having himself trained in the local Vocational Training Scheme within the Oxford Deanery. He initially qualified as a pharmacist at Kings College, London before studying medicine at Southampton. He is married with 3 children. An accountant by background and Director of Finance in local government during his working career. He is also a director of Windsor Theatre Ltd, a non-profit making company limited by guarantee. Tony has been involved in various NHS roles since 2002, including lay memberships of primary care trusts which preceded clinical commissioning groups. Tony joined Chiltern CCG as a lay member of the Audit Committee in 2013 and became Audit Chair in January 2015. His lay member role has continued with NHS Buckinghamshire CCG from April 2018. Robert, a retired chartered accountant, was Executive Director, Finance of the URENCO Group until the end of 2015. Robert worked for URENCO for more than 20 years, and during this time, was responsible for the group’s finance functions as well as Procurement and IT. Prior to joining URENCO, Robert was UK Finance Director of Schering. Robert is married with two children and five grandchildren. He lives in Chearsley and outside of work his main interests are gardening, travel and languages. Karen is a GP partner at Haddenham Medical Centre. She is our Clinical Lead for Integrated Care and also chairs the Quality and Performance Committee, and is appointed to the statutory role of Caldicott Guardian. An enthusiastic member of the team, she is committed to ensuring the NHS, especially General Practice, remains a service we can be proud of, centred around patient care. As a GP she believes we can, and will, be able to provide a better service to our patients, going forward. Dr Mallard-Smith is Clinical Commissioning Director responsible for unplanned community care and specialises in the transformation of Primary care for the CCG. She qualified at the Royal Free Medical School in London in 1992 and then trained as a GP on the Oxford vocational training scheme. She started as a partner at the John Hampden surgery in 1997. She is now the senior partner in this surgery and is proud to continue to develop a surgery with a local village approach to General Practice. Rebecca is also a clinical appraiser for General Practitioners in the Thames Valley area. Robin qualified from Cambridge University and St Thomas’ Hospital Medical School in 1983. Following specialty training in kidney medicine, he was appointed as a Consultant Nephrologist in 1997 to UCH and the Whittington Hospital, transferring to the Royal Free Hospital in 2006. Robin is committed to improving patient experience, outcomes and value through service improvement with a strong focus on clinical leadership, education and academic development. As Divisional Director for Transplantation & Specialist Service (2009 – 2017), Robin gained significant experience from managing the successful mergers of the Renal (2006), Liver/ Hepatobiliary and pancreatic (HPB) (2011) and Malignant Haematology (2015) services in North Central London, as well as the recent development of the UCLP-based Hepatitis and Renal Cancer networks. Robin was involved in the acquisition of Barnet & Chase Farm Hospitals Trust and subsequent development of the Royal Free London Group Model in 2017. 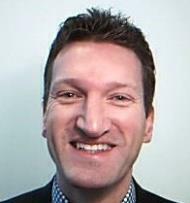 Robin was appointed Medical Director of the Royal Free Hospital in 2017. External roles include Chair of the North London Deanery Renal Specialty Training Committee from 2005–12 and Chair of the Strategic Partnership Board for Camden’s Diabetes Integrated Practice Unit (2014-17). He was first appointed to membership of Chiltern CCG’s Governing Body in March 2016, with his role continuing to the Governing Body of NHS Buckinghamshire CCG. Dr Crystal Oldman joined NHS Aylesbury Vale CCG as nurse member of the Governing Body in January 2013, a role continuing through federation with NHS Chiltern CCG and now as a merged NHS Buckinghamshire CCG. She is the Chief Executive of the Queen’s Nursing Institute (QNI). Crystal trained as a nurse and worked in the NHS for 16 years, in the acute setting of burns, plastics, oncology and intensive care nursing. She later moved into community nursing and public health, working with some of the most deprived communities in London. She joined Buckinghamshire New University as a senior lecturer and later as Dean of Enterprise and Business Management in the Faculty of Society & Health where her role included the development of partnerships with external agencies to promote research and assist in workforce development. Crystal’s longstanding interest in the leadership and management has inspired her doctoral studies into the knowledge, skills and attributes of middle managers which she completed in 2014. Crystal was awarded a CBE in 2017 for services to community nursing and leadership of the Queen’s Nursing Institute. Graham is a Barrister who was called to the bar by Middle Temple in 2009. He is an experienced advocate who has appeared in Courts throughout the country and has used his legal experience to Lecture Law to students studying degree courses as well as helping more mature students returning to education after a period in work. He is also a governor at Halton Combined School near Wendover. He lives locally in Buckinghamshire and is a father of three. Graham has been involved with NHS Aylesbury Vale CCG for a number of years as a lay member. He has continued this role into the new NHS Buckinghamshire CCG following merger with NHS Chiltern CCG. He is Chair of the Primary Care Commissioning Committee and the Individual Funding Requests Case Review Panel. After retiring from his post as the Wycombe District Deputy Police Area Commander, Colin founded CSMentoring, a youth mentoring organisation that focuses on improving the lives of young people. Prior to his retirement, Colin was the district lead officer for Neighbourhood Policing, Community Engagement and Partnership. During his service he held various posts within Buckinghamshire, Berkshire and Oxfordshire including Detective Chief Inspector responsible for investigating major crimes within the three counties. Colin has two commendations for leadership and investigation and was awarded the lifetime achievement award for his service to the community. Colin has been involved with NHS Aylesbury Vale CCG for a number of years as a lay member. This has continued into the new NHS Buckinghamshire CCG where he chairs the Inequalities Advisory Group. Lou Patten has been Chief Officer of Aylesbury Vale and Chiltern CCG since June 2016, having previously been Chief Officer at Aylesbury Vale CCG since 2013. She successfully led the federation of the two Buckinghamshire CCGs and has led on the successful bid for Buckinghamshire to become one of the first eight Integrated Care Systems (ICS). In January 2018 she also became the CEO for Oxfordshire CCG. Robert is Deputy Chief Officer of the CCG and in addition oversees Corporate Governance, the Digital Transformation programme, Strategy and Planning and programme delivery through the Programme Management Office. He has previously led both the urgent care and planned care portfolios for Aylesbury Vale CCG as well as helping to establish the Integrated Care System in Buckinghamshire through co-chairing the first system transformation delivery group. Previous to this Robert has held many finance roles within the NHS including Chief Financial Officer for both Aylesbury Vale and Chiltern CCGs, Director of Finance for Community Health Services in Oxfordshire and senior finance roles across commissioning and provider organisations. With an accountancy background and training, Gary Heneage joined NHS Buckinghamshire CCG as Chief Finance Officer from April 2018. He was previously Head of Finance for NHS England South Central region and as a statutory appointment automatically becomes a voting member of the CCG Governing Body. Prior to joining NHS England five years ago, Gary spent a decade as a Chief Finance Officer in the private sector. The Director of Transformation is co-opted as an additional voting member only in circumstances of conflict of interest material to member GPs/Chair which requires them not to count for quorum purposes.